Jon Daniels and the Texas Rangers’ front office have begun building their 2017 rotation by signing 30-year-old right-hander Andrew Cashner to a one-year deal reportedly worth $10 million. Source confirms #Rangers agree to one-year, $10 million contract with former TCU star Andrew Cashner. The TCU alum has spent seven years in the big league with the Cubs, Padres and Marlins, sporting a 3.89 career ERA on teams that never reached 162+. Cashner struggled in 2016 posting a career-worst 5.25 ERA with the Padres and Marlins. 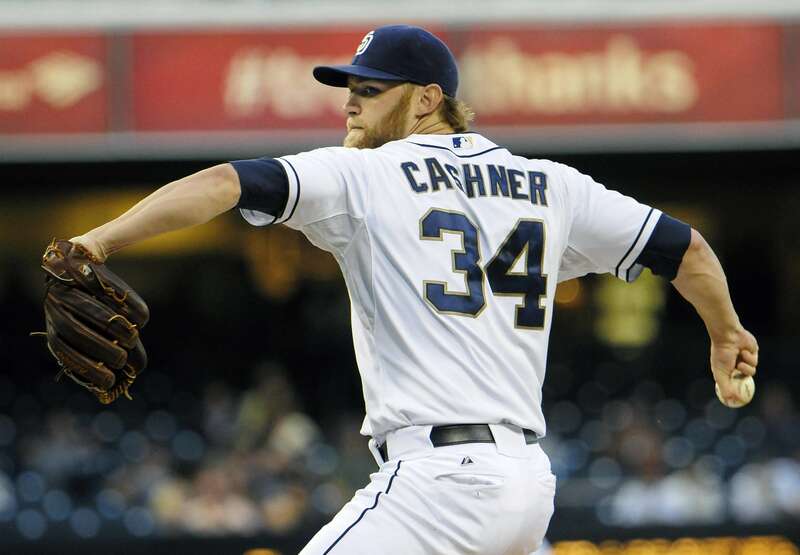 In 2013 Cashner had a career-high in wins (10) and had a career-best ERA (2.55) the following year. Following 2014, Cashner is 11-23 and 19 home runs allowed each year. Andrew Cashner has long been on the Texas Rangers radar, playing his college ball just few miles from Globe Life Park. With Cashner’s long career as a starting pitcher, I’d be surprised if he started out in the bullpen, especially considering the lack of depth at SP last season. Cashner features a Fourseam Fastball (95mph) and Sinker using a Two-seam Fastball grip (94mph), also mixing in a Slider (88mph), Change (86mph) and Curve (82mph). He also rarely throws a Cutter (91mph). Back in his home state, Andrew Cashner will have the chance to reestablish his value after two poor seasons and grow back that beard. Cashner is almost the right-handed Derek Holland as both men are 30, and have significantly struggled in the past two seasons. Holland has also had recent injury woes (knee and shoulder) that have kept him off the mound. Holland’s team option for 2017, $11 million, is also slightly pricier than Cashner’s one-year deal. There is nothing I can point to at the moment to make us feel strong about a resurgence for Andrew Cashner, but I can say I’m excited to see a seven-year vet take the mound every five days for the Texas Rangers instead of guys like Nick Martinez and Chi Chi Gonzalez.